Today we are headed into the past here at My Writing Corner as we welcome author Laura Strickland, who writes of the tales of Robin Hood and the magic of Sherwood Forest. Her latest book is Champion of Sherwood. Laura, we’d like to know about your writing journey. How did you get started? First of all, I’d like to thank you for having me here today, Rebecca. It’s a real treat! I began writing because I loved reading so much. As a child, I was very fortunate to have an older sister who loved to read. Every Saturday she would take me to our small, local library and turn me loose to prowl the shelves in the children’s and young adult sections. Oh, how I loved those visits – the quiet of the library, the smell of the books and the promise of untold, imaginary worlds just waiting for me between their covers. I considered it a great privilege to be trusted with the armful of titles I chose and took home. But when I found a book in which I could really immerse myself, I enjoyed it so much I invariably felt devastated when the story ended. Eventually it occurred to me that if I wrote the story, I could continue it as long as I liked and stay in that wonderful, magical world as long as I chose. So I attribute my sister, Dorothy, with getting me started writing. We also shared books quite often, and since she was ahead of me, the books she liked were always a bit beyond my reading level, which I believe stretched my abilities. Yes! As I say, my love of writing was born of my love of reading which goes way back. I wrote my first “book” in third grade. It was hand-printed with a construction paper cover and, I believe, had the highly original title of “The Haunted House”. Over the years I just never stopped writing. In high school my stories, disguised as homework, got passed around among my friends, and when I met my best friend, who’s still my best friend today, I introduced myself by telling her “I write books about Scotland.” So it feels as if the urge to write has been my constant companion, and not a bad one to have! You’ve written a number of books about the inhabitants of Sherwood Forest. Where did you get your interest in legends and the Sherwood Forest lore? Oh, I’ve always loved legends and the tales of those who have gone before us. If you visit my author’s web page, the first thing you see will be these three words: lore, legend, love. That pretty much sums up the things about which I like to write. I’m especially drawn to ancient Celtic and Norse legends, the magical tales of a mysterious, beautiful past. Before I wrote my Guardians of Sherwood Trilogy, I wrote a Celtic series centered in ancient Scotland and Ireland. Four of those books are still available (just check my web page). I believe that the history books, and some historians, underestimate those who lived before us. The people who raised the standing stones and wrote the Celtic music we still love today couldn’t possibly have been simple peasants or ignorant savages. In my books, I try to transport my readers back to those times and let them walk a while at our ancestors’ sides. It’s the same with my Sherwood books. I wanted to get inside the skin of Robin Hood’s descendants, feel what they felt and find out what motivated them. They were people who loved and lost and prevailed, just as we do. We live because they did, and their hopes and victories shaped our world. Tell us about Champion of Sherwood. What gave you the idea for this story in particular? It’s funny, because when I wrote the first book of the Trilogy, Daughter of Sherwood, I never intended it to be Book One of a Trilogy. Not until I submitted it to my editor and she told me she wanted to contract it did the idea occur to me. The significance of the number three is so strong in that book – three guardians hold the magic that protects Sherwood – and it became apparent there needed to be three books. Book One was already written and I had an idea how things should end in Book Three. In Champion of Sherwood, which is Book Two, I decided to see how far the magic of Sherwood could be bent. Would it accept a Norman, and a born enemy into the fold? Thus was born Gareth de Vavasour, nephew to the dreaded Sheriff of Nottingham, no less. And I think things worked out in a quite mystical and unexpected way. How do you research your stories or is the magic of Sherwood all in your imagination? Most of us know at least a little about the legend of Robin Hood. Many books have been written and many movies and television series made. I wanted my stories to be different, so I set them after Robin’s death and centered them on his descendants and the descendants of his close companions, Little John and Will Scarlet. I researched the time period, who was Sheriff at the time, what weaponry was available and what laws were in effect. But the magic of Sherwood is mostly my creation. I wanted my greenwood to be a deeply mystical place, a virtual entity with a role to play in the stories. It’s a green, earth magic with foundations in the old religion that prefaced Christianity in Britain. There’s nothing at variance with the true beliefs of the times. I suspect that, deep in Sherwood, those beliefs endure yet. What do you like best about writing in this time period? I love showing that people who lived long ago were just like us. They had the same hopes, fears, desires and the same talents, humor and intelligence. I also love the dialect of the times and the mischievous way people interacted with one another. Of course it doesn’t hurt to have good-looking Saxon and Norman men dashing about with swords or bows and arrows. And what woman wouldn’t want to spend a night with a knight in Sherwood Forest? I’m actually immersed in three separate projects. I’m completing a Christmas story, working on an Historical Romance set in the Highlands of Scotland, and doing editing work on my first ever Steampunk Romance. I began reading Steampunk a short while ago, fell in love with the genre and challenged myself to try and write one. It was great fun, and I’m hoping to submit the manuscript to a publisher soon. What can we look forward to in the future out of Sherwood? The third book of the Trilogy, Lord of Sherwood, is in the final stages of edits and I hope will be available this fall from Amazon and The Wild Rose Press. Though each of the books is completely stand-alone and can be enjoyed apart from the others, the three together do make a quite magical circle. In many ways, Lord of Sherwood is my favorite … but then we writers always say that about the last book completed, right? What would you tell beginning writers who want to write about magic and different time periods? Ah, what a good question! I would tell them: first, enchant yourself! You must believe in the magic before anyone else will. You can’t fake this stuff; if you’re not convinced of your story, your characters and the mysticism with which you surround them, it will tell. Drown yourself in the times in which you set your story, begin to think the way your characters would, buy into the magic you present and you’ll take your readers along with you. I’ve had readers tell me that after reading my books they long to walk amid the magic of my Sherwood … and that’s a beautiful compliment. 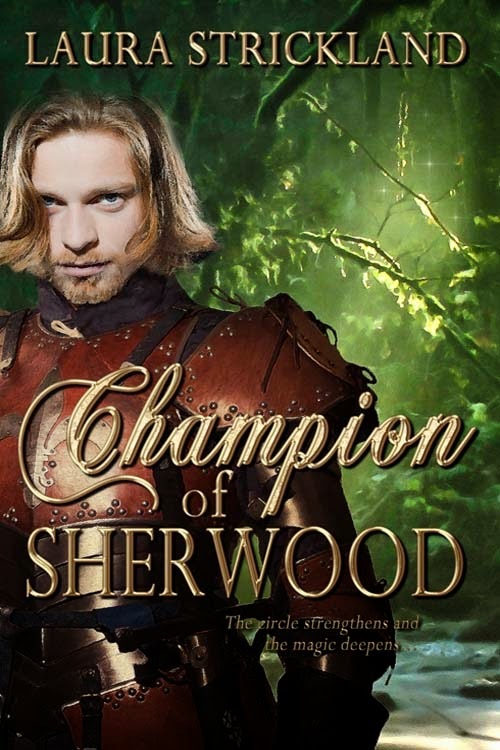 How about a blurb about Champion of Sherwood? Thanks you, Laura , for being my guest today. We'll watch for more from the magic that is Sherwood Forest. Today we are welcoming Rebecca Clark into My Writing Corner. She is published in fiction and non-fiction. Rebecca, we’d like to know about your writing journey. You say on your website you always wanted to be a writer. How did you eventually get started? I decided to be a writer, as in “author,” when I was 11 and read my first romance. I dabbled in romance writing for years after that, actually penning a YA romance when I was 14 (it will never, ever see the light of day). It wasn’t until after the birth of my first child and I became a stay-at-home mom that I actually started writing for publication (during nap times). Tell us about the journey to publication. How did you get your first romance published? It took me a long, long time. When I started writing, I wanted to write for Harlequin Superromance. So I’d spend a year writing a book, submit it, wait for months to hear back, get a rejection, then start over. There were no other options for those books. Today, that is so different. If a big publisher doesn’t want your book, then one of the many small presses might. If they don’t, you can self publish. Or, maybe self publishing will be your first option, not your last. It’s such a great time to be a writer. In 2008, I was a Golden Heart finalist. I thought that would be my magic ticket to Harlequin. Wrong. I ended up selling that manuscript (Borrowed Stilettos) to The Wild Rose Press; back then, small presses still didn’t get a lot of respect, but it was the best decision I could’ve made. I became an Amazon best-seller in romance, and have made way more money from that book than some of my friends who sold to “big” publishers. Obviously, I’m a small press fan. While you have been published in romance, your newest book is a diet book. Tell us a little about why you decided to write it. 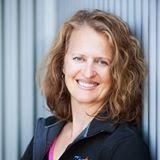 I’ve been a personal fitness trainer for more than 10 years and have worked with hundreds of people. For the majority of those people, their success or lack thereof is due to their diet. 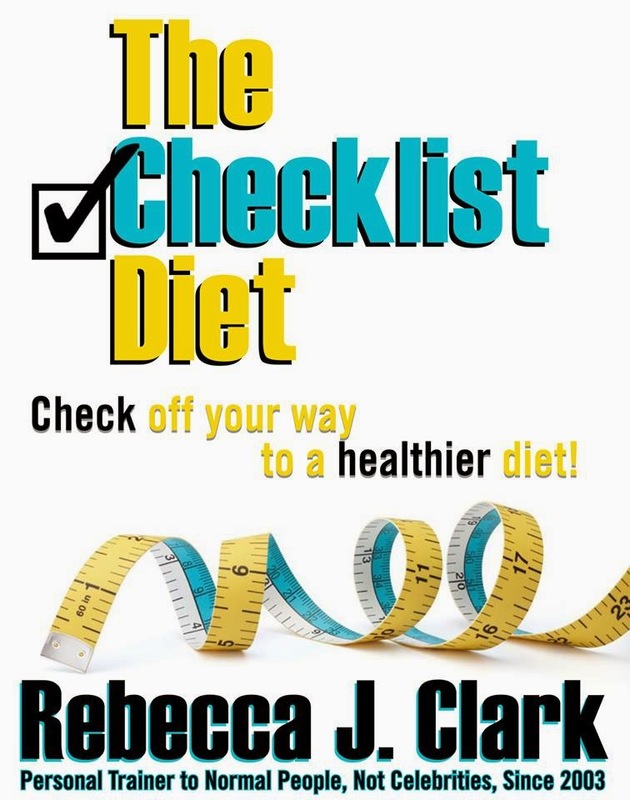 My clients knew I was also a writer, and they hounded me to write a diet book. So I finally did. What do you find is the biggest difference when writing non fiction and fiction –besides the obvious fact that one is totally made up? The biggest difference is that fiction is way more fun to write. I could spend hours in front of my computer writing fiction, and my mind was always writing even if my fingers weren’t typing. But with non fiction, I couldn’t spend more than 30 minutes at a time without needing a break. And when I was away from the computer, I wasn’t thinking about it. What are the challenges of writing non-fiction? Well, you can’t just make stuff up. And you want to be conversational and interesting, and try to stand out from the bazillion other diet books out there. But you could say that about writing fiction, too. Will you continue to write fiction and non fiction? I don’t know. If I come up with another non-fiction idea, then I’ll probably write it. Let’s talk about your fiction works. What do you like best about writing fiction? The plotting and planning stage (even though I’m more of a pantser) is my favorite, because the book in my head is always WAY better than the book that comes out of my fingers. What are you working on now? 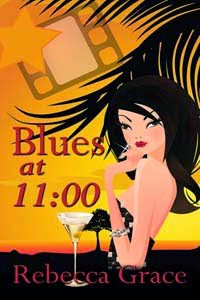 I’m working on the follow-up to my first book, Borrowed Stilettos. I’ll be getting my rights back to that soon, then I’ll self-publish a 3-book series, with Borrowed as Book #1. I’m really excited about that. What would your biggest piece of advice be to beginning writers? Never give up. Don’t compare your success to others (I’m really guilty of that). Write every day. Read every day. Is there anything else you’d like to add about being a writer and how you come up with your stories? Coming up with story ideas is usually the easiest part for writers. Sometimes it kind of makes me sad when I look in my idea file and realize there’s no way I’ll ever have time to make each of those ideas into a story. Thank you, Rebecca, for being my guest today. Any questions or comments for Rebecca? 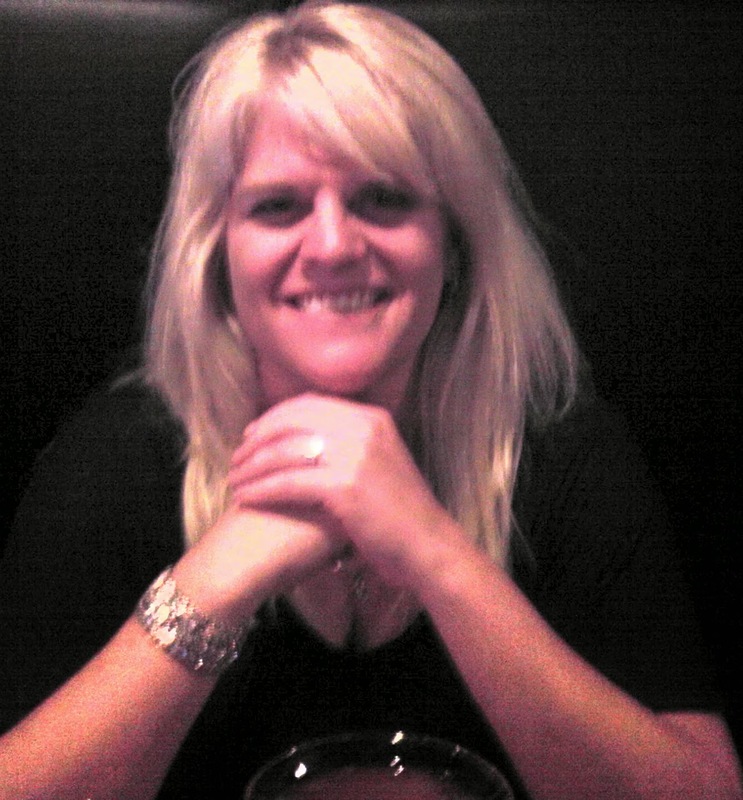 Visiting with me today in My Writing Corner is paranormal mainstream and romance author, Kat De Falla. Her newest book is The Seer's Lover. Kat, how did you get started with your writing career? I’m been a writer since I had a coherent thought. I composed my first poem to my best friend in grade school. I made my 7th grade teacher cry laughing at my autobiography. And Shakespeare in high school cemented my love of the English language. After a few deviations from the path, I finally put fingers to computer in December 2009 and started my first novel, The Seer’s Lover. As a working mother, in a family you describe as a real life Brady Bunch, how do you find the time to write? I could nothing without my supportive husband! Tell us about The Seer’s Lover. It sounds fascinating. That really happened! And I never did see him again, but this became part of the opening scene of The Seer’s Lover. What a great story. What are you working on now? A sequel to my book, First Contact which is soon to be released by Crescent Moon Press with my writing partner, Rachel Green. I just finishing and am trying to sell my middle grade fantasy. I am half way done with a contemporary romance. And I am a few chapters into a pure sci-fi! That sounds like you are a very busy writer. Are there any words of wisdom you would like to share with beginning writers? Good advice. Where can readers find you online? Thanks so much for being with us today, Kat. I know I'll be checking out The Seer's Lover. If you have a question or comment for Kat, please feel free to post it. Joining me today in My Writing Corner is author Cathy Tully, author of the new book, Training Travis. Cathy, tell me a little of your writing journey. How did you get started? I started writing in 2000 after my youngest daughter, then seven, sat on my lap and asked me what I was going to be when I grew up : ) I had to think about that for awhile. What’s that they say, out of the mouths of babes? My husband urged me to find something I loved to do stressing the fact that once the girls were grown up and on their own, I needed something for myself. I enrolled in a children’s writing course and a year later published a children’s non fiction book for Kidhaven Press titled, NEBRASKA. Writing that book, taught me how to write tight, since the word count was low. A few months later, with library budgets being cut I found myself wondering what I should do next. A good writer friend of mine suggested I try to write a romance, and I haven’t looked back since. No. Writing for my college paper was the only writing experience I had. What gave you the idea for Training Travis? I pull from life when I write. I was a decorator for seven years so I used that as Rebecca’s career, and I have two daughter’s that were both teens at one time, which made the teen in the book, Elizabeth, easy to write. The rest just came together as I wrote, edited and revised. Was there anything you learned from writing this book, either through research or in the writing of it? I learned that I can expand a story beyond 55,000 words. Writing tight is a good trait, but sometimes it holds me back. With added characters, plot lines, etc. I was pleased when the book came in at 65,000 words. 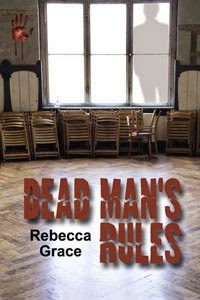 I love adding humor to my books, and Rebecca’s mother had originally been deceased. So…..when I set to revising, I brought her back to life : ) She is hilarious and the reviews I’ve gotten confirm that going with my gut was the right thing to do. One question writers always get and probably hate, but which I always find fascinating -- where do you come up with your ideas? I usually have a tidbit of an idea --- then I sit down and ask myself what if about a million times, until I come up with a valid plot. Your advice to writers is to read, read, read. Why do you think that is so important? My advice to writers is to read, read, read, because reading the genre we want to write shows us the good, the not so good, and the bad way of writing a story. I think the more I read, the stronger writer I become. Again, I’m reading the genre I want to write. If you read an author you love, you can hear their voice jump off the page. Read well written books like that enough, and you become one of those writers that can do the same. How about a blurb on Training Travis? Rebecca Evans resents Travis McGill. Not only did he break her heart years ago but he and his daughter represent the family she lost. Now, all the caffeine in the world wouldn't prepare her for his permanent move back to the hometown, Golden, PA, they once shared. Due to the untimely death of his ex-wife, Travis McGill receives full custody of his teenage daughter. He can kiss the quiet lifestyle he's come to enjoy goodbye when he must live full-time with a teenager. Soon, renovations not only begin on the old Victorian he’d purchased, but on Travis' heart. Thank you, Cathy, for being my guest this week.